Thursday, November 23, 2017 by: Isabelle Z. (Natural News) As the holiday season gets into full swing, there are two things you can be certain of: Tempting food will be everywhere, and flavors like cinnamon will feature prominently. However, this combination might actually work in your favor to some extent as a new study shows that this popular holiday spice has the potential to boost your body’s fat burning. If you think you’ve heard this before, you’re half right; scientists already knew that the essential oil responsible for cinnamon’s pleasing flavor, cinnamaldehyde, protects mice from obesity and hyperglycemia. However, they weren’t quite sure how it accomplished this and whether it would have the same effect on humans. In the newest study, researchers from the University of Michigan Life Sciences Unit tested fat cells known as adipocytes from human volunteers across a wide range of ages, body masses, and ethnicities. Adipocytes store energy as lipids, which was a useful feature for our ancestors who did not have the access to high-fat food we have today and therefore needed to store fat over longer periods to sustain them through lean times and cold seasons. Now, however, we have plenty of access to high-fat foods – too much access, in fact, as can be evidenced by soaring obesity rates and higher incidences of diseases related to obesity like diabetes and cancer. As humans have shifted from concerns about energy deficiency to struggles with energy surplus, many scientists have sought ways to turn on the body’s natural fat-burning processes. When the researchers, led by Jun Wu, treated these cells with cinnamaldehyde, lipid metabolism was increased, and the fat cells were induced to start burning energy using a process known as thermogenesis. Wu is optimistic about the results. After all, many people like the taste of cinnamon and it’s already used frequently in dishes around the world. It’s also natural and widely available. Wu is hoping that this makes it an approach that people will find easier to stick with. Another big benefit is that it is unlikely to have some of the scary side effects associated with traditional weight-loss drugs, many of which aren’t terribly effective, either. However, researchers need to carry out additional studies to determine how they can harness the metabolic benefits of this wonder spice without causing any negative side effects. This doesn’t mean that you should run out and get that venti Cinnamon Roll Frappuccino from Starbucks every day; the fat-burning abilities of cinnamon might not be enough to counter the equivalent of 30 sugar cubes. But if you’re going to have dessert after Christmas dinner anyway, the cinnamon one might have a slight edge over the other choices being served, depending on their other ingredients. We’ll have to wait, however, for these findings to translate into actionable advice for those who want to lose fat. In the meantime, don’t double down on cinnamon-laden desserts or start eating it by the spoonful. Instead, you can add cinnamon to everyday dishes, and they don’t have to be dessert. It’s great in a roasted butternut squash soup, oatmeal, popcorn, tagine, and many types of stew. Added to coffee, it imparts a slight sweetness that means you won’t miss the sugar. 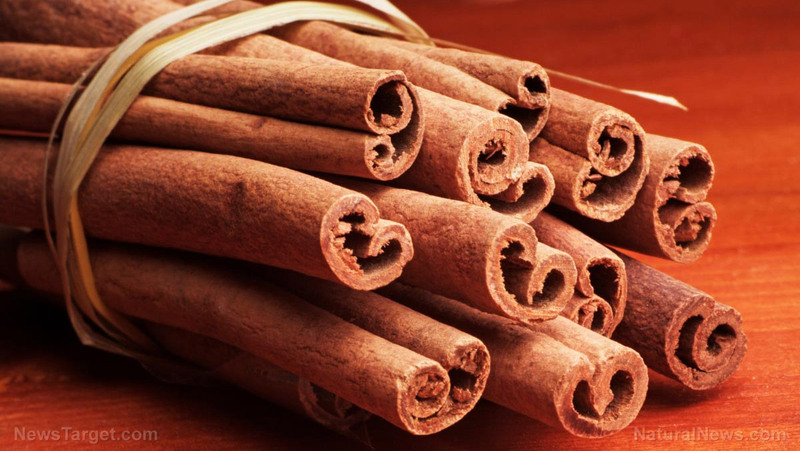 This latest study adds to the growing pile of evidence in favor of cinnamon. One study found Cassia cinnamon to be every bit as effective as diabetes medications in lowering blood glucose levels in those with type 2 diabetes, while another study found that even small doses could bring type 2 diabetics’ blood sugar levels, LDL cholesterol and triglycerides down significantly. Cinnamon’s potential is only beginning to be understood, but it is certainly showing promise that extends far beyond giving pumpkin pie its tantalizing appeal.